a new way for our company to give generously across every area of our business. While this program is new, giving back has been a part of who we are since Bob opened our doors in 1981. From our Moments that Matter Scholarship that awards deserving students with trip funds to the many organizations we partner with like the Make-a-Wish Foundation and VanderCook College OneCity, we’re honored to meet those needs. Now, we’re empowering our team members to do the same. 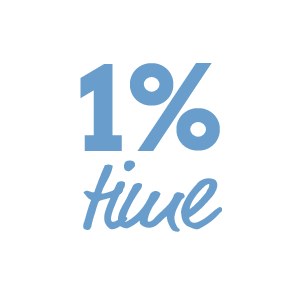 Each of our BRT team members has committed to donate 1% of their time to local non-profit organizations in need of volunteers. This gives our team the freedom to support the causes closest to their hearts and serve where they feel most needed. As our team members are located across the country, we’re excited about how many organizations this will impact. At the end of the year, this will mean that each employee will have donated 20 hours and we as a company will have donated nearly 1,000 hours of service. 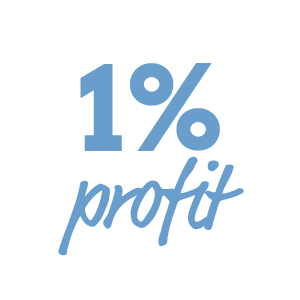 As a company, BRT will donate at least 1% of our profits to non-profit organizations, schools and performing arts groups. We’ve expanded the range of groups we support financially to include new organizations and efforts. 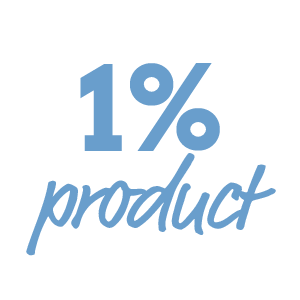 BRT will also donate 1% of our product through both our Moments that Matter Scholarship as well as a fully paid student performance trip to a deserving group. Working with our Moments that Matter recipients has been so meaningful to us that it has inspired a new initiative. Starting this year, we will be funding an entire school group’s performance tour as a whole new way for us to support arts education and inspire students. To apply for the full trip scholarship, click here. For us, this new, focused approach to giving back is simply another way for us to honor the communities we belong to and the performing arts across the country. For more information about our philanthropy efforts, please contact us.